DO YOU NEED A GREAT CARPET CLEANING SERVICE IN WARRINGTON? 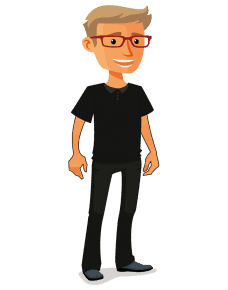 Hello, my name is Dave Power, and I for over a decade I have specialised in the deep cleaning of carpets and rugs here in sunny Warrington. In the main, I use a van mounted extraction unit to flush away any nasties from your carpets. 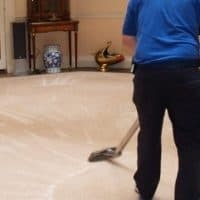 If I feel your carpeting requires a different approach, then I can utilise one of the other cleaning methods that I am armed with – such as low moisture carpet cleaning. The choice I make depends on the carpet type you have, as well as the particular soiling conditions that I am facing. I am fully vetted by the National Carpet Cleaning Association, as well as keeping up to date at other training facilities across the UK. Full public liability insurance, as well as treatment risk insurance, is in place. This means your carpets and rugs are in safe hands. Over many years I have cleaned miles of carpet’s all over Warrington (I also clean upholstery in Warrington) and are being continuously recommended for a high standard of carpet cleaning and rejuvenation throughout the Warrington area. I can also offer you a stain guard protector after your clean. This is a great product that will help your carpets stay cleaner for longer. Dirtbusters have also been approved to be a Which? Trusted Trader. This means we have been assessed and checked by the Which trading standards professionals. Part of this means I have also agreed to abide by the Which? Trusted Trader code of conduct, giving our customers that extra peace of mind. • If desired we will treat your carpet with a toxin free stain retardant. I can clean your carpets in several different ways, but the main cleaning system we use is with what we call a ‘van mounted’ extraction unit. This system uses highly pressurised hot water, along with lots of vacuum power. After a pre-treatment, the soiling in your carpets is flushed away to the waste tank in the van. Here we have lots more power at our fingertips than for instance the DIY carpet cleaners you can hire in the shop. If you have a commercial carpet that needs cleaning in Warrington, I can use a low moisture cleaning method. This is dry within an hour. Eco-friendly carpet cleaners are, well…. Eco-Friendly. In this day and age, we all need to do a little to help Mother Nature out. Your health. Do you want toxic chemicals lurking in your rug when the baby is rolling around on it? • Is the price a final fully inclusive price of cleaning, stain removal, moving furniture etc? • Is there any kind of money back guarantee? After all, if the clean isn’t great, should you pay? • Can the carpet cleaner provide any references? • Is the carpet cleaner van or truck mounted? Avoid the low powered portable carpet cleaners – poor cleans and wet carpets! 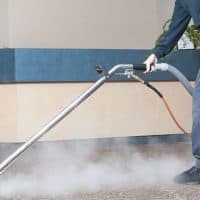 In order to keep any type of disruption to a minimum, I have invested in whats known in the carpet cleaning industry as a van mounted carpet cleaning extraction unit. This has its own water supply and sits out in the van. This means no noisy machine is brought into your home. All wastewater is sucked straight out to the van too, so in all its a very clean way to clean! And, did you know? I can also offer you a patio and driveway jetwashing service in Warrington too. So if you just need a couple of rugs cleaning, or multiple empty properties that need carpet care in Warrington, all you need to do is pick up for the phone and call me on 01925 670554 – 7 days a week, anytime between 8 am and 8 pm. As well as caring for carpets, I can also help you with any rugs that may need cleaning. A lot of my customers have long piled rugs nowadays that really do need a good deep clean on a frequent basis. Or maybe you have long hall runners that take a lot of foot traffic. Feel free to call me anytime (please leave a message if no answer) and let me know what you have, and I will help with the appropriate clean for you. I am not just a carpet cleaner in Warrington! As time has gone on I have trained in other cleaning disciplines. 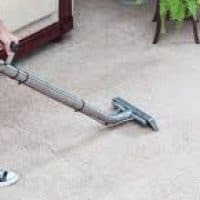 Hard floor cleaning, fabric, and leather suite cleaning and exterior jet washing are all on the Dirtbusters list of skills that all residents of Warrington can take advantage of. Dave cleaned our lounge carpet today and I am delighted with the overall result. I have used Dirtbusters three times now to clean the carpets in my home. Always a great job is done, very professional and polite service. We use Dave for carpet cleaning as the results are fantastic, and the carpet smells like chocolate orange!